Yasukazu Hosen from the Ministry of Agriculture Forestry and Fisheries of Japan hosted the IRRI Young Researchers’ Lunch on January 23. 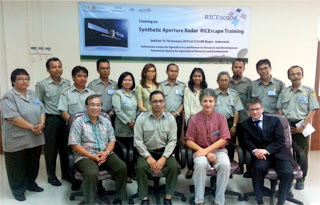 Dr. Hosen, a former soil scientist at IRRI and Japan International Research Center for Agricultural Sciences, shared his expertise on greenhouse gases with San Hla Htwe, Mark Jeffrey Morete, Marilou Barrios, Alexandre Grondin, and Zilhas Ahmed Jewel. One of the important lessons he shared with the group is that nitrogen fertilizer application right before draining the field will cause higher amounts of nitrates to be released as greenhouse gases. More than eighty members of the Philippine-Rural Development Administration (Korea) Alumni Association (PhilRAA) attended the 4th PhilRAA convention, Revitalizing Linkages and Partnerships on S&T Innovations Towards Improving Livelihood of Farmers, at Traders’ Hotel in Pasay City on 24-25 January 2013. The convention featured technical presentations on the implementation of past and current RDA-PhilRAA-funded projects that showcased technologies suitable to some areas in the Philippines. PhilRAA members also elected its new board of directors and officers for 2013 to 2014. Mr. Julian Lapitan, senior manager of NPR-IRRI and a charter member of the association, was elected as the organization’s new President. The year 2013 has been declared as the National Year of Rice in the Philippines by President Benigno S. Aquino III through a proclamation in anticipation of attaining rice self-sufficiency this year. “The month of November of every year is also affirmed as National Rice Awareness Month,” the proclamation further stated. With the theme Sapat na Bigas, Kaya ng Pinas (The Philippines can be rice sufficient), the National Year of Rice was proclaimed to raise public awareness on responsible rice consumption. 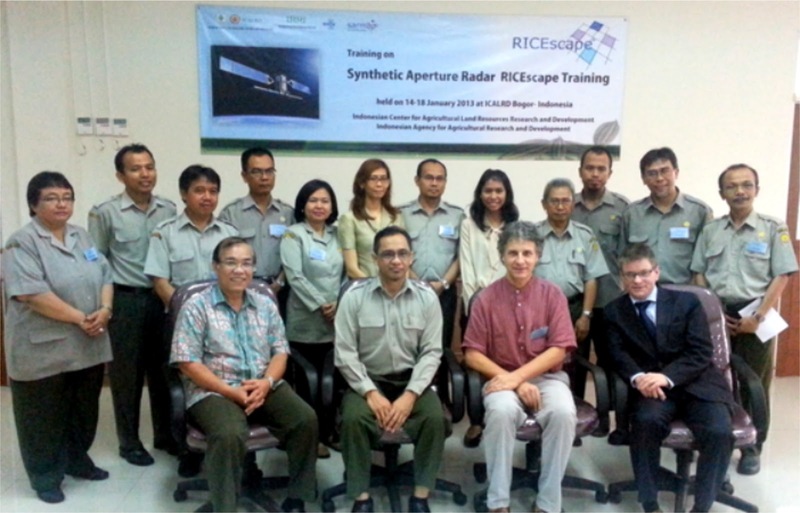 Farmers were also encouraged to adopt modern technologies to improve farm productivity. 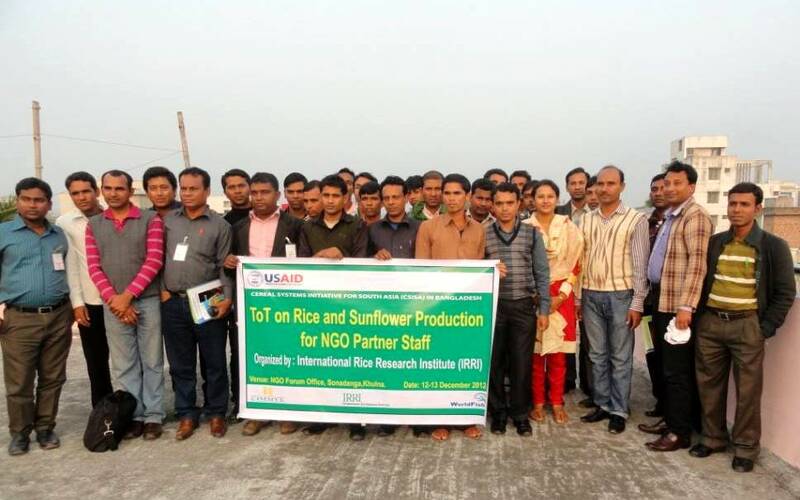 Farmers in the Sathkira District of Bangladesh have found that the tandem of short-duration rice and mustard varieties has helped increase their income, as it enables them to plant the boro rice on time in their rice-mustard-rice cropping system. This was the highlight of a field day held on 15 January attended by 170 farmers from six villages. In the demo village, farmers grow either just two rice crops or a mustard crop (using a traditional mustard variety, Tori 7) between two rice crops. Twenty-four young professionals from 9 countries come together this week in Hong Kong to decide how to best promote mobile and web-based agricultural tools among farmers. The participants of the 30th Global Young Leaders Programme (YLP), which starts on 14 January 2013, belong to 15 companies and organizations—a wide range of contexts that are expected to feed into an effective marketing plan for the new tools. 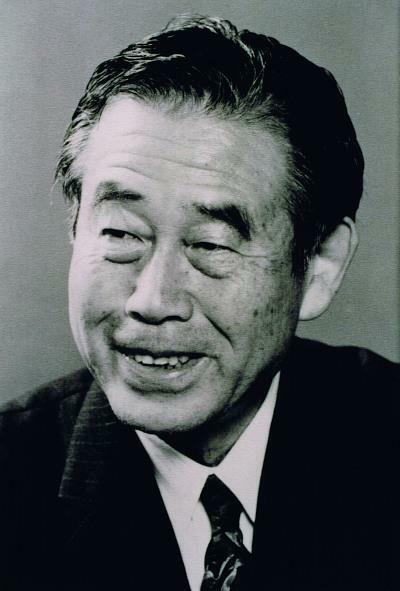 Yujiro Hayami, agricultural economist at IRRI (1974-77) under Randy Barker, passed away on 24 December 2012 in Tokyo. 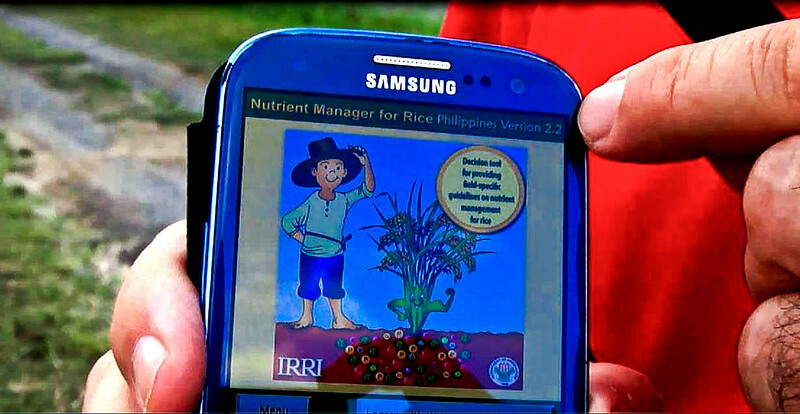 A large part of the achievements of Yujiro, an internationally recognized agricultural economist, came from his experience at IRRI, including his intensive investigation over four decades of one village in eastern Laguna. Dennis J. Greenland, former IRRI deputy director (1979-87), passed away on 23 December 2012 in the UK. He was an internationally renowned soil scientist. 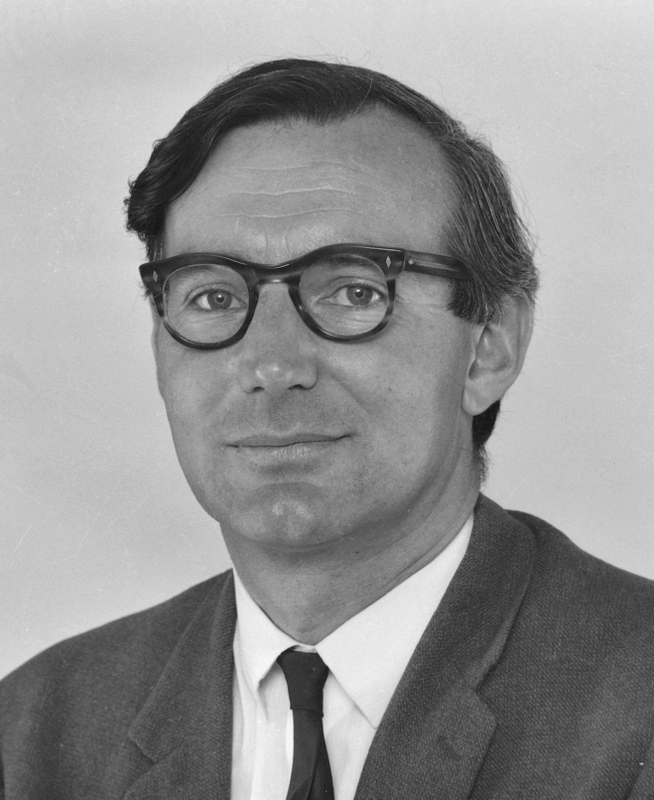 The scope of Dr. Greenland’s research and contributions to the field of soil science extended over nearly a half-century and four continents. After earning his master’s and Ph.D. degrees at the University of Oxford in 1954, he served as lecturer at the University of Ghana in West Africa, where he began studying the effects of cultivation on soil dynamics. The introduction of a community-based seed system, or what locals call the “seed producers’ group,” in the mid-hills of Nepal has brought remarkable improvements in the lives of women farmers in the area. 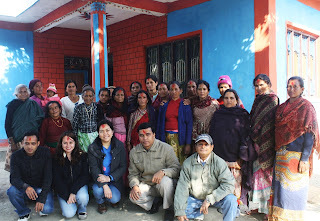 This was what members of the Mahjuwa Ladies Seed Producers’ Group and the Harrabot Ladies Seed Producers’ Group, both of Lamjung, Nepal, said to the team from the Consortium for Unfavorable Rice Environments (CURE) that came to document the groups' experiences in early December 2012. 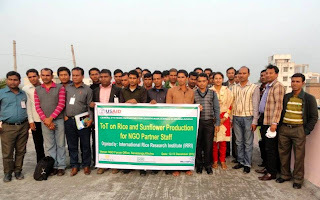 The Cereal Systems Initiative for South Asia (CSISA) conducted a 'training of trainers' on rice and sunflower production to strengthen the capacity of partner NGO field staff and enable smooth implementation of CSISA-Bangladesh activities in the Khulna Hub. Twenty-nine field-level staff and a local coordinator participated in the training course, in which were discussed rice varieties (high-yielding, salt-tolerant, and submergence- and drought-tolerant); sunflower and rice production packages; postharvest management of rice; and key topics on growing mustard and sesame, such as fertilizer, water, and pest and disease management. 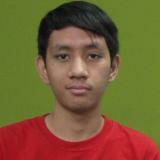 Roven Rommel "Arvie" Fuentes, a young programmer working with the informatics team in IRRI, won the best paper award during the Student-Faculty Research Conference of the Mathematics, Statistics, and Computer Science Cluster of U.P. Los Baños.